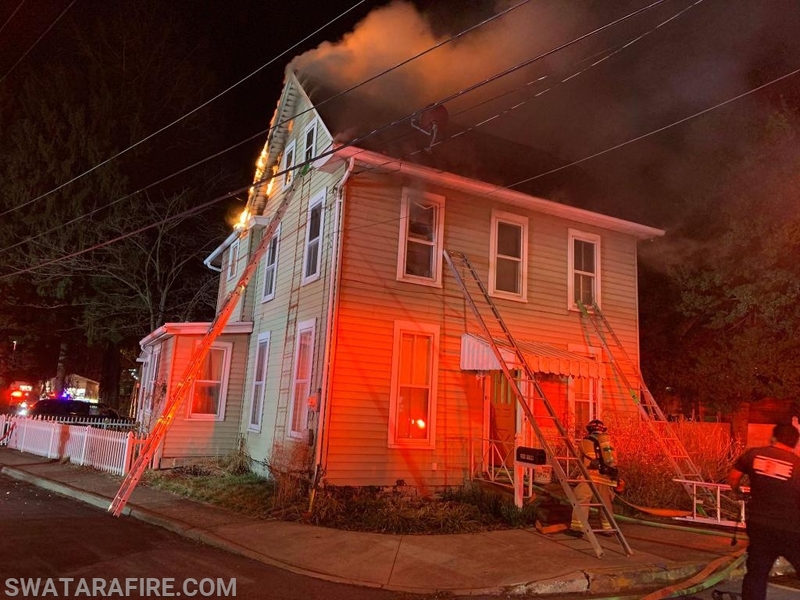 This evening, Truck 91 was dispatched to the 200 Block of Penn St in the 55-1 Box Area (Highspire). Chief 55-2 arrived with a 2.5 Story SFD with fire showing from division 2 and the roof. The Truck (LT Oliver) arrived as the first due and positioned on Side A. Crews split to perform inside and outside work. Interior crews completed searches and assisted with fire attack. 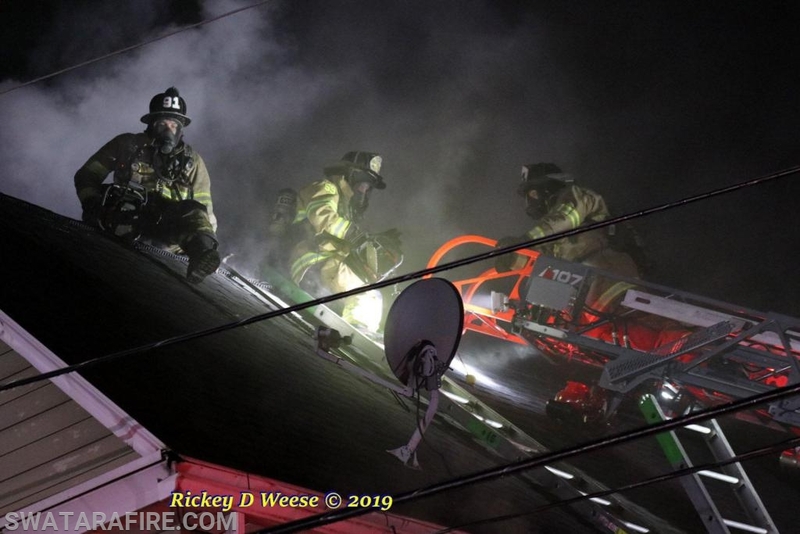 The outside team coordinated vertical ventilation and performed extensive overhaul on the roof/attic. The ladder was out for 2 hours.